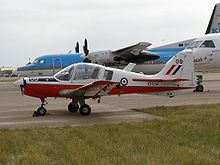 The prototype Bulldog first flew on 19 May 1969 at Shoreham Airport. The first order for the type was for 78 from the Swedish Air Board. Before any production aircraft were built, Beagle Aircraft ceased trading and the production rights for the aircraft, with the Swedish order, were taken over by Scottish Aviation (Bulldog) Limited. 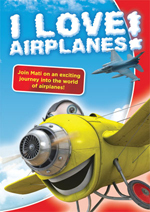 All subsequent aircraft were built at Prestwick Airport by Scottish Aviation, or in later years, British Aerospace. The largest customer was the Royal Air Force, which placed an order for 130 Bulldogs in 1972, entering service as the Bulldog T.1. 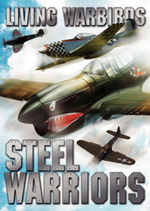 It was used extensively by the Royal Air Force as a basic trainer, in particular as the standard aircraft of the University Air Squadrons and, later, Air Experience Flights, providing flying training. 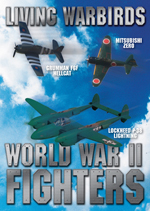 The RAF sold off all its remaining Bulldog trainers in 2001 as general aviation light aircraft for a very low price. They were replaced by the Grob Tutor. 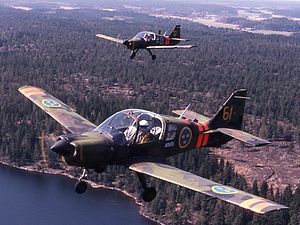 Of the Swedish aircraft, 26 were bought in 2004 by the Hungarian company AVIA-Rent. 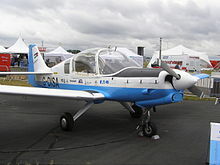 When the RAF aircraft were sold on the civilian market in the early 2000s, the type's excellent visibility, robustness and aerobatic capability meant that they were enthusiastically taken up. Many examples are operated by private pilots in the United Kingdom, United States and elsewhere. 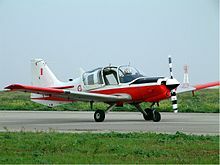 Model 124: Company demonstrator (G-ASAL). Bulldog Series 200 Four-seat variant with retractable undercarriage. One prototype built (G-BDOG). Also known as the Bullfinch in civilian guise. 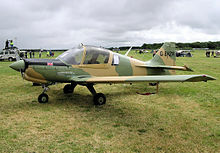 Picture - Privately-owned Scottish Aviation Bulldog Series 120, formerly of the Botswana Air Force and in their colours, at an English air rally in 2005. Picture - Bulldog of the Maltese Air Force in 2003. Picture - Operators of the Bulldog. These armaments were never used in RAF service although some weapons training was done on the Bulldog trainers in Sweden. Although hardpoints are available, there is no provision for weapons launch control systems in the Bulldog. Taylor, John W. R. (1976). Jane's All The World's Aircraft 1976-77. London: Jane's Yearbooks. 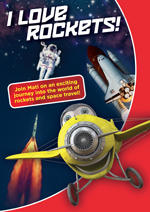 ISBN 0 354 00538 3.